Self Cure Remedy details of Eat honey for the care and relief of Bronchitis, including effectiveness and popularity scores of the remedy. Honey thins accumulated mucus and helps eliminate it from the respiratory passages. It also prevents the production of mucus in future. One year old honey is recommended for respiratory disease. Eat honey or take either in milk or water. Do not give honey to children under one year old because of the risk of infant botulism. 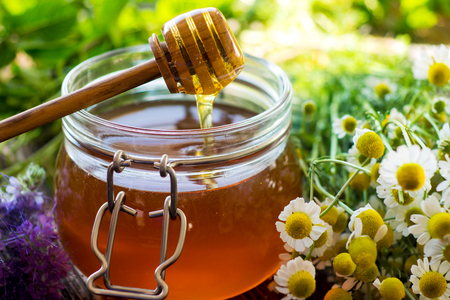 The self cure remedy of Eat honey for the care and relief of Bronchitis has an effectiveness score of 3.4 and a popularity score of 8 on the self-cure system.